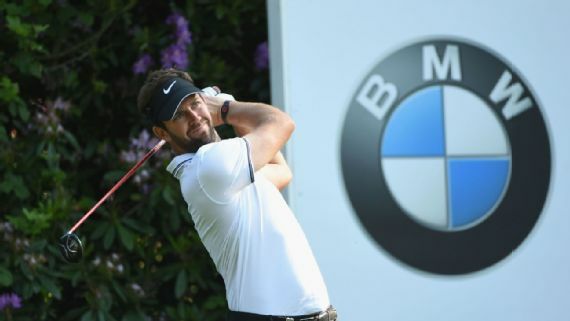 Scotland’s Scott Jamieson made the most of ideal conditions to claim a share of the clubhouse lead in the first round of the BMW PGA Championship on Thursday. Jamieson, who was in the first group out at 7am, carded five birdies in a flawless opening 67, with Thailand’s Kiradech Aphibarnrat joining him on five under after six birdies and one bogey. Italy’s Nino Bertasio and England’s Graeme Storm were a shot off the lead on four under, Storm having covered the front nine in 30, just a shot outside the tournament record set last year by Masters champion Danny Willett and equalled by eventual winner Chris Wood. Another birdie on the 10th then took Storm, who defeated Rory McIlroy in a play-off to win the South African Open in January, to six under par and into a two-shot lead, before a double-bogey on the 11th halted his progress.